Geneva – 6 December 2017 – Swiss gaming company EverdreamSoft, creator of Spells of Genesis – one of the first games to integrate the blockchain – and crypto currency BitCrystals, has added a “blockchainization” feature in the game. Blockchainization allows players to transform their in-game assets into standalone, trade-able blockchain assets. The new blockchanization feature will go live on December 6th, and will let any Spells of Genesis players with fully levelled up an in-game card (in SoG terminology, this means the card is “quad-fused and levelled up”) transform into blockchain assets, and move them from the game into their own digital wallet. The new feature is being trialled in Spells of Genesis, but EverdreamSoft plans to make its blockchainization platform available to other game developers. Spells of Genesis is available for both iOS and Android. Giving players total control over their assets opens up many opportunities for gaming studios that see the potential of blockchain to the games industry. Not only does it mean players get to turn their investment of time and money on their favourite games into an asset that they actually own (rather than the game publisher or the platform owner retaining control), players can potentially ‘monetize’ their playing skills or time spent crafting and improving an in-game item. Anything that gets “blockchainized” in this way is transformed into an independent digital token, free to be sent to another player or to be sold on a trading platform. 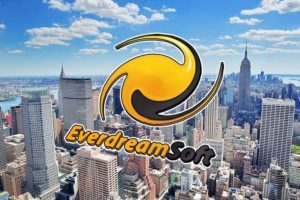 EverdreamSoft’s CEO and Founder, Shaban Shaame, believes that the ability to use blockchain to give players true ownership of in-game assets has the potential to transform the games industry. There may be a delay in receiving newly blockchainized cards due to the volume of all bitcoin blockchain transactions.